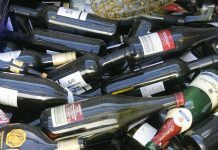 Binding recycled content target for plastics in beverage bottles voted by the European Parliament. The European Parliament in plenary meeting approved in a landmark vote on 24 October 2018 a target of 35 per cent of mandatory recycled plastic by 2025 in beverage bottles. This binding target is part of the report led by Frederique Ries, Rapporteur for the ENVI Committee of the European Parliament (ALDE, BE), which amends the Single Use Plastics (SUP) Directive proposed by the European Commission. EuRIC strongly welcomes this landmark vote, which will boost the demand for recycled plastic in single use plastics. “The target of 35 per cent recycled content in beverage bottles by 2025 sends a strong market signal that will steer the demand for recycled plastics, rewarding its substantial environmental benefits in terms of CO2 and energy savings, which market prices have consistently failed to acknowledge,” said Emmanuel Katrakis, EuRIC Secretary General. It will have a positive knock-on effect on improving and increasing the collection rate of these SUP and is hence vital in achieving the 90 per cent collection target set by the Proposal. In addition, keeping plastics in the loop will contribute to the reduction of marine litter. 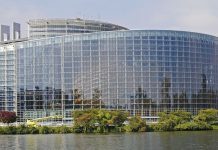 EuRIC strongly hopes that the level of ambition set by the European Parliament will be endorsed during the negotiations between the European Parliament and the Council.